October 19, 2017, 11:29 AM · Welcome to "For the Record," Violinist.com's weekly roundup of new releases of recordings by violinists, violists, cellists and other classical musicians. We hope it helps you keep track of your favorite artists, as well as find some new ones to add to your listening! 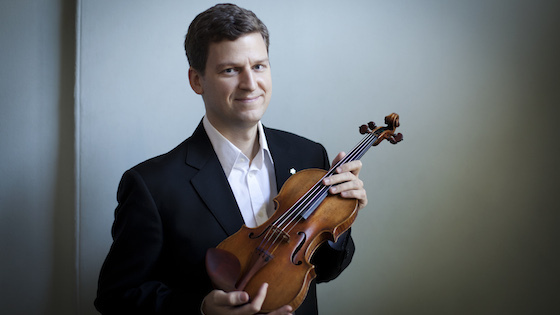 For James Ehnes' first recording of the Beethoven Violin Concerto, he has teamed up with the Royal Liverpool Philharmonic Orchestra, led by fellow violinist/conductor Andrew Manze. The recording also includes Beethoven's "Romances" for violin; and Schubert's "Rondo." James Ehnes. Photo by Benjamin Ealovega.